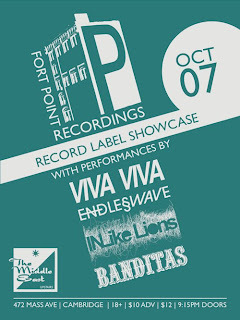 Come out and see us tomorrow, Thursday, October 7th. 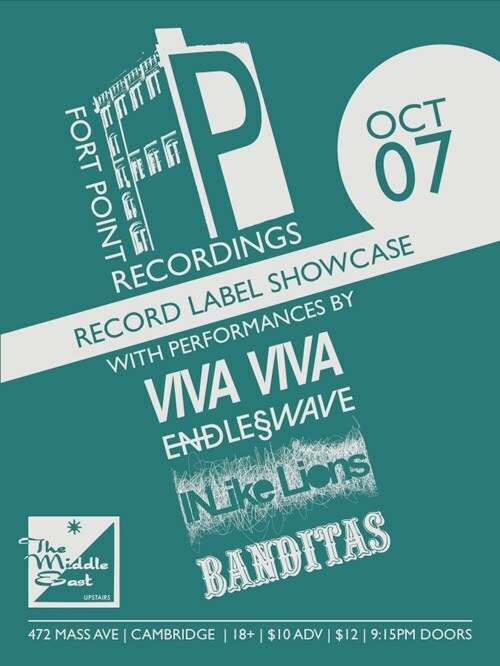 We are excited to be returning back to the stage after taking the summer off, and where better than our home away from home, the Middle East Upstairs, for our new label Fort Point Recording's showcase with Banditas, In Like Lions and Endless Wave. We've included all the info below, with links to the Facebook event page as well as tickets available on TicketWeb. Facebook Event • Purchase TICKETS!